More than $1 trillion in IT spending will be directly or indirectly affected by the shift to cloud during the next 5 years. Cloud-first strategies are the foundation for staying relevant in a fast-paced world. Cloud providers now, for the most part, offer rich feature sets and high-uptime SLAs. That’s enabling organizations, large and small, to finally perceive cloud as a reliable, economical and practical choice for hosting critical IT workloads. Embee has been leading cloud transformation for its customers, for years. Do you deal with sensitive customer data? Private Clouds today have all the capabilities and self-service ease of use of Public Clouds. Your customer and enterprise data is extremely secure and the environment enables effortless provisioning and management of workloads. Embee’s Private Cloud solutions are delivered on a simple, efficient and flexible hyper-converged software platform with industry-leading network virtualization, storage virtualization and management. We addressed the issue of centralized management of IT infrastructure for one of our e-commerce clients, by providing solutions that reduced the TCO by 40%. Embee Upgrades a Leading Procurement Software Solution Provider’s Approval Process and Optimizes Performance Using Serverless Computing. Does your business need to run high compute/ storage applications? A Public Cloud solution could be the answer to your need for unified networking, common management and security, while getting the same reliability and performance you expect from your internal data center. Embee’s customers leverage a common platform of virtualized compute, storage and networking that delivers a consistent operational model across Public Clouds and can be managed using existing skillsets and processes. A leading global technology company that focuses on accelerating digital innovation. Embee helped them achieve 100% application availability with IaaS and PaaS cloud solution implementation. Do you need to analyze confidential data, efficiently? 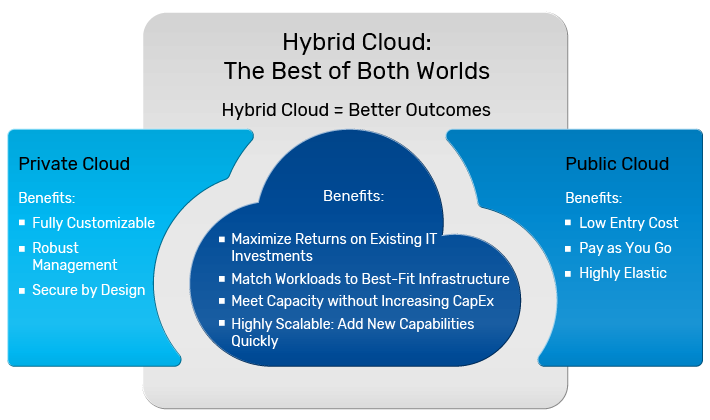 With a well-planned Hybrid Cloud strategy, you can discover what services exist across different clouds, and enforce security and governance while efficiently managing costs. Embee offers simple and highly agile hybrid cloud solutions to customers across verticals to deal with rapid changes in cloud computing scalability, workloads, etc. With strong partnerships and an objective approach, our experts customize solutions that address your unique challenges. 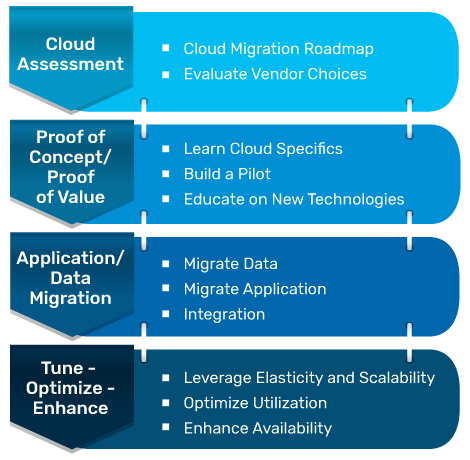 Planning to move to the Cloud, but are you ready? First of all, let me congratulate Embee on successfully completing the migration to Office 365 for FCB Ulka. As Office 365 was a new technology, initially we were very reluctant about the shift. However the Embee team highlighted the benefits of the solution and the impact this solution can have on our company which injected the confidence in us and assured us of a smooth transition. We chose Embee as our IT partner as you need a partner who will do the actual implementation, who has the capability and the understanding of your business requirements. So before finding, Embee came, understood the current environment, what were the issues, what were the new enhancements we needed and devised a complete Cloud solution for us. And the teams’ dedication and round the clock availability to fix the issues is surely noteworthy. Embee is one of the top 3 Cloud Partners in India and has completed 300+ Cloud projects and migrated over 300,000 users to the Cloud.